I am sorry that I haven't posted for a while. I will try to write a new post soon! Would you like to become a tax preparer? The Fast Forward Academy offers students a course and free online practice exams for people interested in becoming registered tax preparers. There is a wide selection of IRS Tax Preparer Study Guides at the Fast Forward Academy for reasonable prices. Some of these include practice exams. Once you have completed the course successfully, you will easily be able to do the exams and prepare taxes. Students who are doing an income tax course can register for the online practice exams quickly and easily. Fast Forward Academy gives them a detailed analysis of their progress. Another advantage is that the exams can be repeated. This gives students a good preparation for the actual exams. The Fast Forward Academy has all the information that people interested in becoming registered tax preparers need. It offers a blog, news, and detailed accounts of the requirements that interested students need. The Symbol of the "Naughty Nineties"
Fire engines raced to the scene. The young Prince of Wales and his friend, the Duke of Sutherland, were on one one of them. They enjoyed the scene immensely as the horses were made to go faster and faster through the busy London streets of 1865. Unfortunately, they couldn't save The Eldorado, a music-hall and restaurant. Nineteen years later, a new music-hall replaced the old theatre. 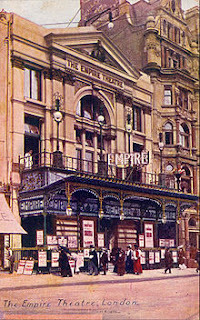 Designed by Thomas Verity, an acclaimed theatre designer, the Empire Theatre in Leicester Square was to become one of the most famous music-halls. It had a grand opening with Chilperic by Florimund Horne. It was also the site of the opening of the Lumiere Cinematrographe in 1896. The music-hall was especially noted for its ballets. Such eminent ballerinas as Adeline Genee appeared there. 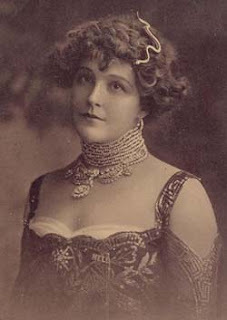 Madame Katti Lanner, an Austrian dancer, ran a dance troupe. The management even travelled to St.Petersburg to acquire new talent. Unfortunately, the ballet stars were usually members of variety shows. For example, one evening's entertainment included a juggler, a trapeze-swinging poodle and a contortionist. This was not the only problem encountered by the girls who appeared in the ballet. In those days, actresses and girls in the ballet often had a bad reputation. They were regarded as "easy game" by the young men of the town. One MP, a Mr Winterbotham, later complained that dancers often became prostitutes. The promenade at the back of the dress circle in the theatre was apparently notorious and the reason why the Empire Theatre was considered "the symbol of the Naughty Nineties". Prostitutes and courtesans strolled here hoping to attract the attention of the young aristocrats and dandies. Winston Churchill wrote that "they also from time to time refreshed themselves with alcoholic liqueurs". These scenes would result in a great scandal - the subject of my next post. Interesting story about Framk Wild, an explorer and friend of Shackleton. Would you like to complete an online course from the comfort of your own home? An online course makes this possible. It will save you money on transport and it also means that you can study at your own pace. Another advantage is that you may not be able to find the course that you want locally. However, you will probably be able to locate the program that you want online because there are many more choices available. Find an Education will help you find an online course easily. Find an Education enables students to browse online degree programs and search for the course which they want. Students can browse by subject or by university or college. The site supplies details of each program and university. Students who want more information can also fill in a Request Form which is sent to the college or university. Two brothers looked at the burgeoning buildings of Sydney and dreamed of creating a great department store which would rival Bon Marche in Paris. They were sure that they could do it because their family background was in retail and they had owned a successful drapery store in Melbourne. The old, iconic building, which was once Mark Foy's department store, is now a court but the distinctive architecture remains. 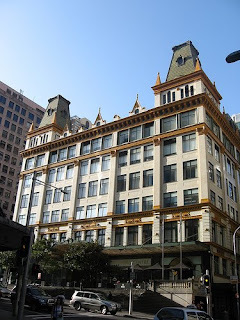 The turretted mansard roof and the birght terracotta trim advertising 'corsets', 'gloves' and 'hosiery' is still visible to those interested in the history of Sydney. 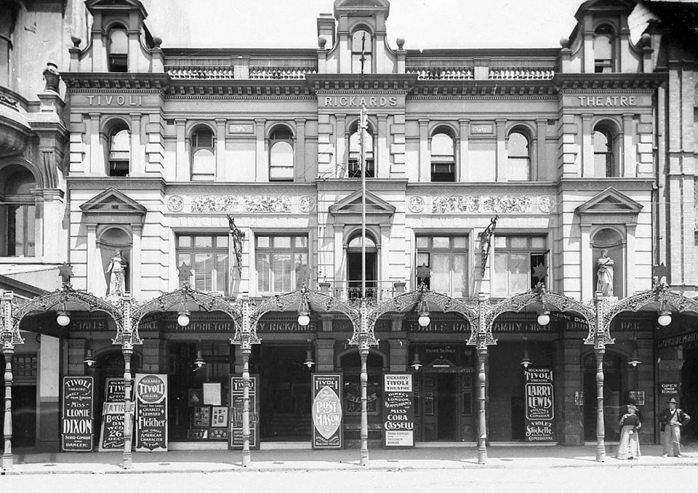 The Foy brothers, Francis and Mark, opened their first store in Sydney in 1884. It was another drapery business and relatively small. In 1908, however, they caused a sensation by opening a three-storey store near Hyde Park. Soon the three storeys weren't enough and the store grew to six storeys. They built other buildings to house the many departments, including furniture, hardware, and carpets. They even owned a woollen mill. The great Mark Foy's was eventually the only store to have four frontages - on Elizabeth, Liverpool, Castlereigh, and Goulbourn streets. Paul Keating once criticised people by saying that: "They had more front than Mark Foy's!" 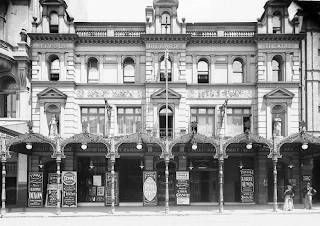 The department store was the first Australian store to have an escalator. People still have fond memories of the elegant galleries, the grand ballroom with its marble, and the restaurant. Women and girls especially loved to shop in the store which was highly regarded as a centre of fashion and had glamorous glass cabinets and wooden ceilings. Unfortunately, the days of Mark Foy's ended in 1980 when Grace Brothers bought the store. Lovers of old department stores can only look at the building and dream of shopping in elegance. A fascinating article about the the real Lady Cora on whom the character in Downton Abbey is based. The New York Times screamed that it was 'the West Indian monster." It certainly acted like one. The hurricane of August, 1893 hit New York with devastating force. Gale-force winds and heavy rain lashed the city. The winds tore roofs and chimneys off. Storm surges rose to over thirty feet. Floods swept through low-lying areas. Brooklyn and Queens were devastated. Several buildings and piers on Coney Island were destroyed. More than one hundred trees were torn up by their roots. Dozens of sailors were killed. Parks were filled with birds killed by the storm. Immigrant boys collected the dead sparrows and plucked their feathers. Some of the birds were sold to restaurants. The Category 2 hurricane even destroyed a whole island. Hog Island was a resort where people enjoyed eating at restaurants and bathing. The 1893 hurricane is believed to be the only hurricane that actually destroyed an island. 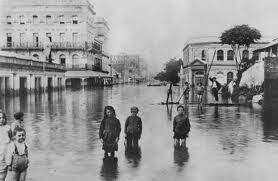 However, the hurricane wasn't as bad as the 1938 hurricane which killed 6000 people in New York and New England. 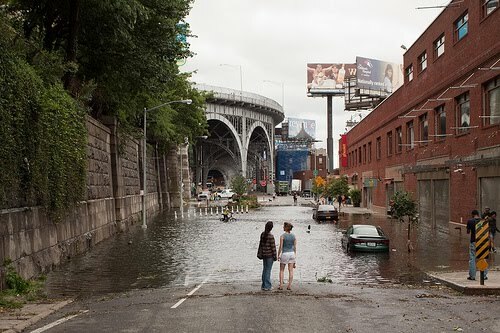 Flooding on New York's 12th Avenue caused by Irene. Greater Toronto Contractors is a trustworthy firm that has an excellent reputation for design and renovation. Their expert team is committed to providing customers with professional renovations at reasonable prices within their budgets. Dealing with this firm of Toronto contractors has many advantages, including flexible financing, and an excellent warranty. You can even obtain a free estimate of how much your project will cost within 24 hours. This firm is noted for their Toronto renovations. They can undertake complete renovations and are noted for building beautiful homes. The team has contacts with most of the flooring and fixture suppliers in Toronto so that you can receive great discounts on these items. The expert design team can show you a picture of the finished design in 3D, a wonderful idea. You can see exactly what your renovation will look like before it is delivered. Greater Toronto Contractors also has a good reputation for their Toronto kitchen renovations. The kitchen is usually an important place for families. It is usually a place in which families gather to talk for snacks or coffee and tea, so it is imperative that it is a warm and beautiful room. You can leave the schedules, trades, and material suppliers to Greater Toronto Contractors while choosing the lay-out and design. Their team will show you the design in 3D so that you can see what the finished kitchen will look like. Why not fill out the free estimate form on the website or call Greater Toronto Contractors today? We waited...and waited until it finally arrived and it was certainly worth it! Downton Abbey was superbly acted, had beautiful settings, and exquisite clothes. There were also some very handsome men in it who pleased the eye. There were some rather grating modern expressions at times, such as: "Pardon me for living". I doubt that an Edwardian would have used that expression! 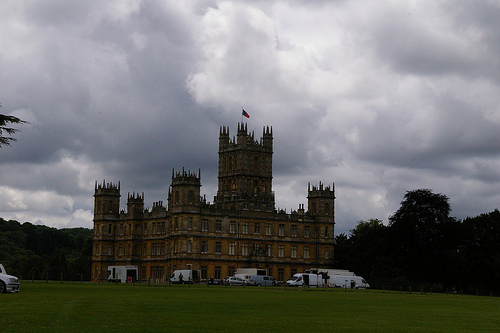 I am not sure whether I prefer Upstairs, Downstairs or Downton Abbey. Upstairs, Downstairs was more subtle and authentic, I think. Downton Abbey had more scandals and backstabbing! 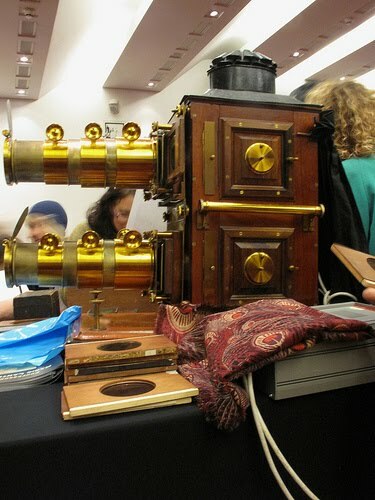 Magic lantern shows were popular well into the twentieth century. They were presented at halls, schools and even churches. The largest could have eight operators and audiences of up to 2000 people. Sometimes they consisted of 'song slides' - picture shows with actors which accompanied popular songs. Photomontages and primitive special effects were sometimes used. The shows in churches and schools were for educational purposes or special treats for the children. They could show scenes from different lands or missionaries educating foreign children. Sometimes these shows would have a narrator. Until the First World War magic-lantern slides were also used to present the news at the cinema. Slide shows were presented of depictions by artists of Boer War battles, for example. Slide shows also told the story of the Titanic disaster. Slides were also shown at the cinema to encourage good behaviour from the audience. For example, gentlemen were asked not to smoke or to remove their hats. You can find many short Edwardian slideshows on the Internet. I enjoyed this one. Oxford Medical has been established since 2004 and an excellent reputation for teaching interview skills, medical management courses, and medical teaching courses. The company's courses include the Consultant Interview Course, the Medical Teaching Course, the Medical Management Course, and the Teach the Teacher Course. The Consultant Interview Course is held in London and Oxford. It is taught by expert NHS trainers who have experience in the medical interview process. They can prepare U.K. doctors for consultant interviews, GPST interviews, and CT/ST interviews. The course is taught to small groups so each student can have personal attention. The recorded mock interviews and excellent feedback from the teachers is extremely helpful for students. Students also receive the benefits of free post course support and training. The Medical Teaching Course is held by Oxford Medical in Oxford and London. It takes two days. It can be extremely important for doctors to know how to teach doctors and staff. This course teaches doctors the latest educational theories and prepares doctors to feel confident about teaching. It satisfies the Train the Trainer requirements of the profession. The Medical Management Course takes three days and is taught by expert clinicians and managers. It is also taught in small groups and has received excellent reviews. The course uses the Medical Excellence Competency Leadership Framework. The Teach the Teacher Course is taught in Oxford and London. It provides doctors with formal training in teaching. Students learn important skills, such as how to prepare thorough presentations and how to deal with difficult students. This course has an excellent reputation and is considered the best Teach the Teacher medical course in the U.K.
Oxford Medical has a well-deserved reputation for its medical interview and medical management courses. 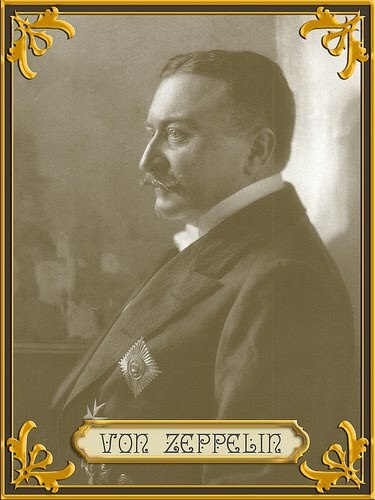 Count von Zepplin, 59 years old and a retired army officer, had reached the age when many people retire. This did not deter him from his big ambition. It was a huge decision for an aged man with no knowledge of mechanical engineering. The Count wanted to develop airships for military purposes and made a careful study of the engineering involved. The Count was interested in building rigid airships which would consist of cylinders charged by smaller vessels containing hydrogen-gas. He began his company in 1895 and started work at Friedrichshafen on the shores of Lake Constance. He was able to make test flights over the Bodensee of his first Zeppelin which was 420 feet long and 38 feet in diameter. The first ascents were unsuccessful - the airships had several breakdowns. One descended rapidly and its envelope was ripped on a piling. However, the Kaiser and the King of Wurtemberg were interested in the Count's achievements so the Count was able to build larger airships capable of aerodynamic flight. He undertook further flights in 1905 and 1906. By 1908 Count von Zeppelin had developed a very large craft containing two motors which could develop 170 horse-power. The King of Wurtemberg and his wife, Queen Charlotte, even flew in the Zeppelin in July 1908. The LZ-4 flew over the Alps to Zurich and Lucerne and back to Lake Constance at 35 miles an hour. This was a trip of 235 miles. The Kaiser was very impressed and promised the Count much support if he could keep the Zeppelin in the air for 24 hours. The Count's dream was almost wrecked soon after this. After staying aloft for several hours the Zeppelin was struck by a sudden squall and caught fire at Echterdingen. The Kaiser and the King of Wurtemberg sent letters of sympathy. Luckily, the public support for the Count was so great that a public appeal raised more than six million marks for his company within a few weeks. Count von Zepplin could continue achieving his dream. The great designer, Poiret, wasn't the only talented member of his family. His sisters also became important designers. One, Jeanne Poiret, became the first important woman jeweller. Jeanne married the jeweller, Jules Rene Boivin, in 1893. Boivin, an expert engraver and jeweler, had founded his first jewellery workshop in Paris in 1890. He acquired more workshops after he married Jeanne, a talented designer who worked with him. 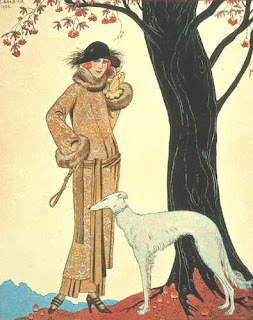 Jeanne actually took over the business when Boivin died in 1917 and continued the company's work and kept talented designers, such as Suzanne Belperron and Juliette Montard. The Boivin company's clients included artists such as Degas, socialites, and stars. They appreciated the Art Deco-style jewellery for which Boivin was famous and flocked to the prestigious shop on the Avenue de l'Opera. Rene Boivin loved flowers, especially orchids, so the jewellery included pieces with floral motifs. Marine life and mythical creatures also inspired the Boivins. 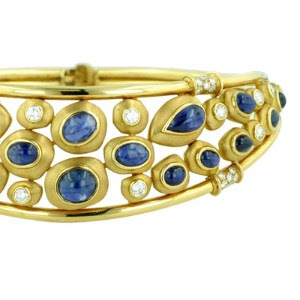 The Art Deco large, mechanistic bracelets are especially famous. Although the jewellery was never signed, it is apparently easy to recognise. The Boivin's daughter took over the company after Jeanne died. It was sold to Asprey in 1991 and it is still a prestigious jewellery company. The Online Universities website by Find Your Education has a wide variety of online degree programs for students to choose from. These include Art History, IT, and Business courses. Universities include the University of Phoenix and Strayer University. Many students, especially those who are at work, like to study online because they can study in their own time. Students can study during the night, for example. They also don't have to commute so they save money. Also, students who study online can often choose from a wider variety of courses. Studying online is an especially good idea for mothers with children and the disabled. Mothers can choose when to study if they study online and they can also watch their children while they are studying. The disabled don’t have to commute and they will find it helpful to study at their own pace. This is a very helpful site which students can easily use to search for suitable courses. For example, students can find a list of Online Degree Programs in Art History. It also includes articles about such subjects, as choosing the right online degree, military education benefits, and finding your niche. Think of Edwardian women next time you do the vacuuming. They were so thankful for this new invention that vacuum cleaner parties became very popular! The first power-driven vacuum cleaner was invented by H.Cecil Booth, a British engineer in 1901. It was so large that it had to be mounted on horse-drawn carts. Using it involved extending the 100-foot hose through the windows! Before the invention of this modern new convenience, cleaning machines blew or brushed the dirt away. The new machine was used for all sorts of strange jobs, such as cleaning the dusty girders of the Crystal Palace. Booth formed his own company, specialising in industrial vacuum cleaners. Murray Spangler invented the first electric vacuum cleaner in Ohio. William Henry Hoover's wife was so impressed with it that she showed it to her husband. He bought the patent rights and he also formed his own company. In fact, his name practically became synonymous with the vacuum cleaner. Unfortunately, I couldn't watch this video. Some of you will be able to, however. A tribute was being held for the great conductor, Toscanini. A ghost in the audience watched as the conductor held his concert. Flowers sent to her were placed in a darkened hotel room in Venice. The ghost was the famous opera singer, Frances Alda. 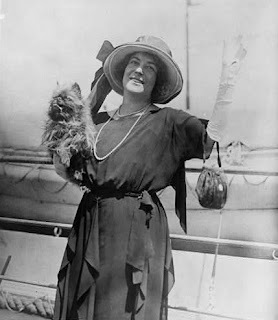 Dr. Louise Mahler has a wonderfully interesting post on her blog about Dame Nellie Melba's business tactics. 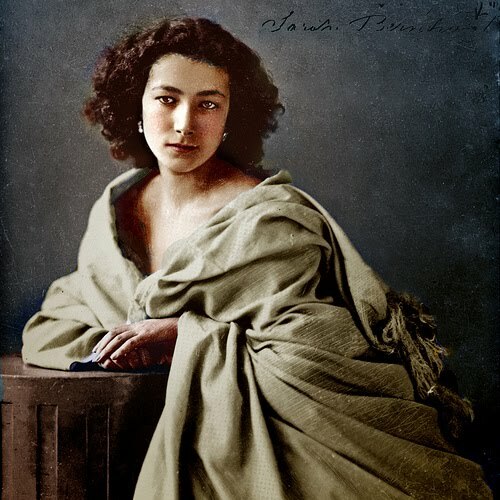 Sarah Bernhardt wasn't always 'The Divine Sarah'. She despaired at 18 of ever becoming an actress, let alone a great one. Her mother told her that her acting was ridiculous and the distraught girl resigned from The Gymnase. This was a theatre which showed light comedies. Bernhardt decided to go on a trip. She may have gone to Spain. She fell in love with the Belgian Prince Henri de Lignes, the great love of her life. He wanted to marry her but his family persuaded her that he would lose his inheritance and be looked down upon by society if she accepted. She gave him up. She did have his son, however. Bernhardt called him Maurice. When Maurice was much older the prince officially recognised him and offered him his name and a large fortune. He decided to remain 'Bernhardt'. There is a legend that Maurice and his father were catching a train but they'd lost the tickets. The ticket officer told the prince that he'd never heard of him. However, he knew the name 'Bernhardt' so they got on the train! Did 'the Divine Sarah' and Edward, Prince of Wales have an affair? Her granddaughter said that they were the best of friends. We will probably never know. However, his first acknowledged mistress, Lily Langtry, certainly got quite jealous of the frizzy-haired, beautiful Frenchwoman. The prince and the young actress often dined together in Paris. He also showered her with expensive jewellery and loved to go to her performances. When she went to London in 1879 the air was buzzing with gossip about the couple. Lady Cavendish complained that Bernhardt was 'shameless' yet she was invited everywhere. She probably wasn't very happy about the speculation that Bernhardt and the prince were involved! The only evidence of an affair seems to be that they spent many hours together and Bernhardt told her theatre manager that she was late because she was with the prince until the early hours of the morning. This is a Victorian story rather than an Edwardian one. However, I am going to include it here anyway. Read about it here: The History of Whiteleys. There was Australian Idol and there was also 'Australia's Idol'. 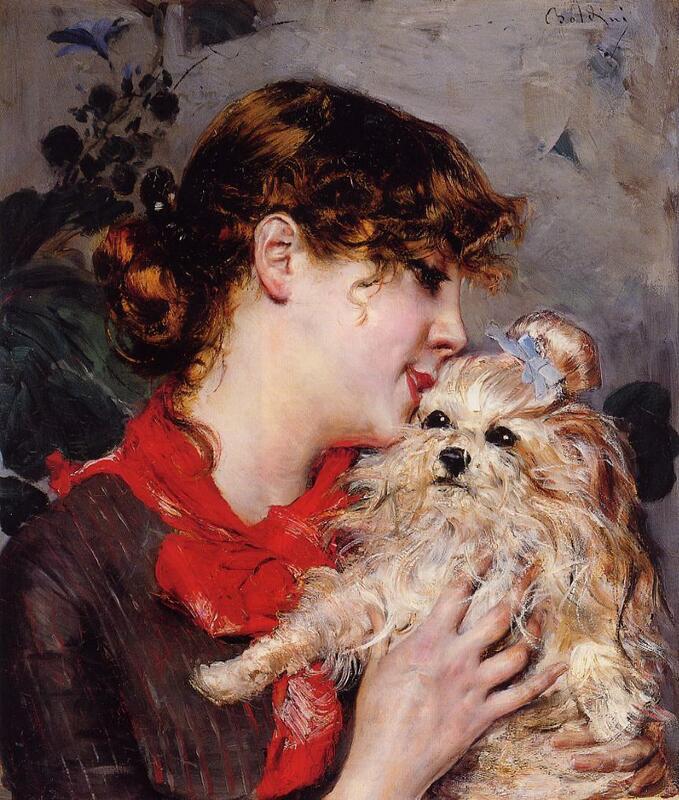 Read about Nellie Stewart. Medical professionals worldwide can now buy designer scrubs. These are only available online. They can be bought in many different and attractive colors, including pink, lilac, and chocolate. One pretty example is the Poppy hat - this is a bouffant style hat with 'blue sky flare'. Another very popular example is the Pixie hat. There is no need to wear an unfashionable uniform any more. If you are a medical professional, you can buy a very fashionable scrub uniform. These uniforms feature a slimming fit and two back pockets on the pants with matching stitching on the pocket of the tops. You can also buy a fashionable lab coat. These lab coats are made of wrinkle-free, protected cotton and feature a slimming cut and ample storage for such necessary items as notebooks and pens. These coats will make you look attractive and confident. Before Cyclone Yasi and Cyclone Larry, there was Cyclone Mahina. 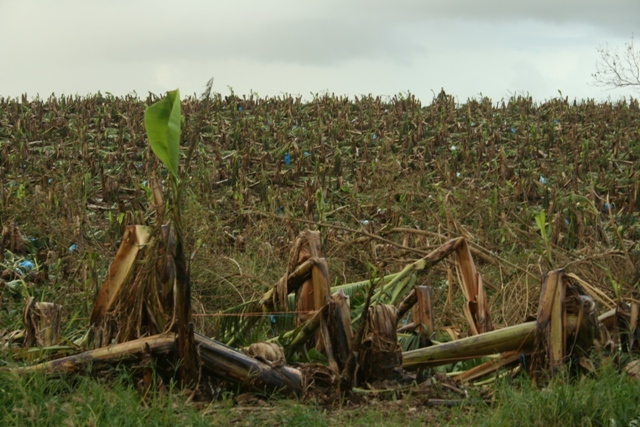 This cyclone struck with great force, killed hundreds of people and caused much devastation. Unfortunately, it had been forgotten until the history of cyclones became news-worthy again. Cyclone Mahina, a Category 5 cyclone, struck Bathurst Bay in North Queensland in 1899. It brought powerful winds with it - they reached 175 mph. The cyclone still holds the world record for the biggest storm surge of any cyclone. This was between 13-14 metres or over 40 feet high. Constable Kenny, an eye-witness, stated that he was camped on a ridge 40 ft above sea level. He was inundated to the waist during the cyclone. 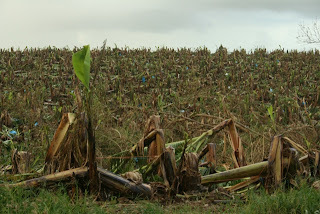 Over 400 people were killed by the cyclone. These included the crews of a whole pearling fleet headed for Thursday Island. The beach was strewn with dead fish, snakes and birds. Fish and dolphins were found on top of high cliffs. It was very lucky that few lives were lost in Cyclone Yasi and that it did not strike a city like Cairns. More preparation is certainly needed for these huge weather systems. "Great sawn logs snatched from timber-yards and timber-getters, uprooted trees, tossing and tur ting; dead bullocks, dead sheep, dead horses; haystack after haystack, the half drowned family cat riding on the summit of one, a collection of bedraggled fowls on an- other, a pumpkin vine with a pumpkin at- tached adorning a third; sheds, panels of fencing, outhouses, whole houses, and snakes of all kinds colled on debris, all went floating and whirling past In cotinuous procession round bends, along reaches, away to the wide open bay and its beaches." This is what Steele Rudd saw from his office window in February 1893. The raging Brisbane river swept all before it. After a long period of heavy rain, the river rose and almost 'washed away the city'. The Indooroopilly Bridge, a strong structure which contained 1272 tonnes of iron, was destroyed. Its designer, Mr Stanley, placed a loaded train on it and blocked the expansion rollers to prevent swaying but this was to no avail. This was not the only bridge that Brisbane lost in the flood. Houses, barges, and other debris crashed into the Victoria Bridge which also went. The business district was submerged. Queen Street was under water. Businesses were devastated. Whole suburbs were inundated. Most of Auchenflower and Toowong were covered in water. The water rose to the roof of Auchenflower Railway Station and the second level of the famous riverside Regatta Hotel. People had to be rescued by boats. The flood even devastated two storey buildings. One large two storey house was actually lifted away by the force of the wind and rain which beat down on the city. Telegraphic communication was cut and the ravaged city was practically isolated by the terrible flood. Luckily, few deaths occurred, The flood only caused eleven known deaths. Seven of those killed worked in an Ipswich colliery inundated by the Bremer River, a tributary of the Brisbane River. Two hundred people were admitted to hospital. Many people fled their houses with their 'smalls' or belongings, terrified by the wind and rain. Hundreds were probably left homeless by the incredibly high waters. The economic cost of the flood reached the huge amount of two million pounds but the emotional loss was even more devastating for most 'Brisbanites'. Tutor Vista provides comprehensive online tutoring in all subjects for only $99.99 per month. Tutors and students use an interactive whiteboard on which students can do sums, problems, and other tasks. One of the subjects that Tutor Vista's tutors helps students with is science. Students can obtain chemistry help from Tutor Vista's expert tutors who will provide assistance with such difficult concepts as substances and atoms. The company also provides organic chemistry help. Organic chemistry is a branch of chemistry that also needs to be clearly understood by chemistry students. The company provides chemistry homework help by giving students a list of questions to answer, and an online tutor if they need further assistance. Tutor Vista also provides excellent physics help for students. Knowledge of physics requires that hard concepts such as Newton's Law of Gravitation, heat, and thermodynamics be learned. The company provides each student with their own expert tutor who will help them understand these concepts. Students can obtain physics homework help at any time. Tutor Vista has online tutors who are available to give homework help in every subject at any hour of the day or night. Students should be able to pass their exams and do their assignments easily with this personal online tutoring. I now know what 'overland flooding' means! Luckily, only my entrance, garage and lift were affected. I've also been lucky enough to have a short holiday! I hope to write a new post soon!